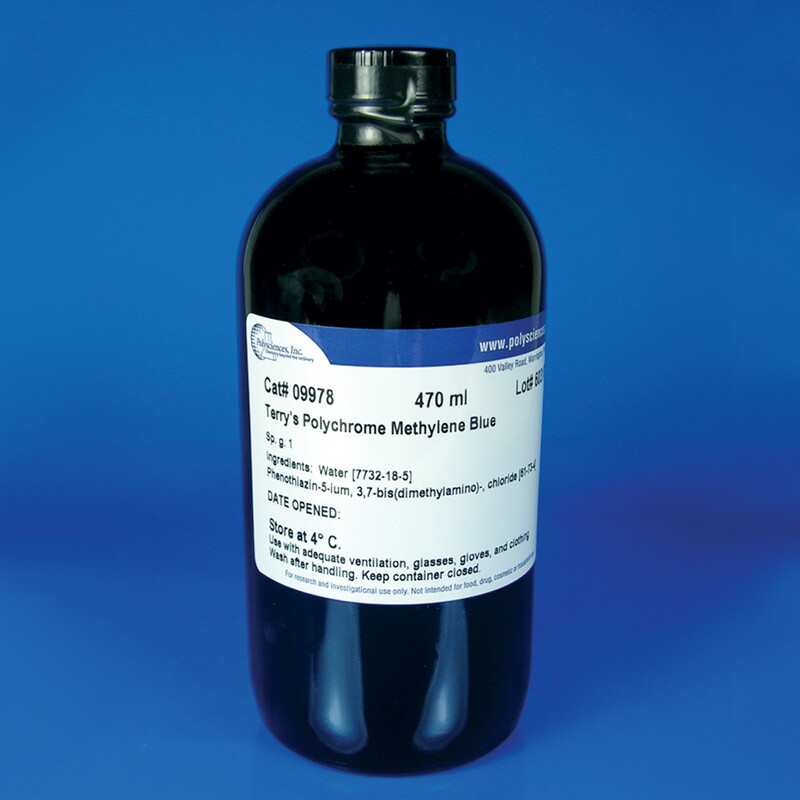 Terry's Polychrome Methylene Blue 2% Aqueous | Polysciences, Inc.
A STAT staining method for unfixed and fixed tissue. Stains nuclei more strongly than cell cytoplasm. Excellent dye for nuclear and nucleolar details. Can be used to demonstrate erythrocyte alterations/inclusions and some erythrocyte parasites, as well as to visualize reticulocytes. Methylene blue is different from that in Romanowsky stains. In order to stain a slide with methylene blue a drop of stain is placed on a coverslip. The coverslip is then placed on an unfixed blood smear. An alternative method is to mix some stain with fresh blood before a blood smear is made.